Beer Camp, Craft Beer, growler, Sierra Nevada Brewing Co. 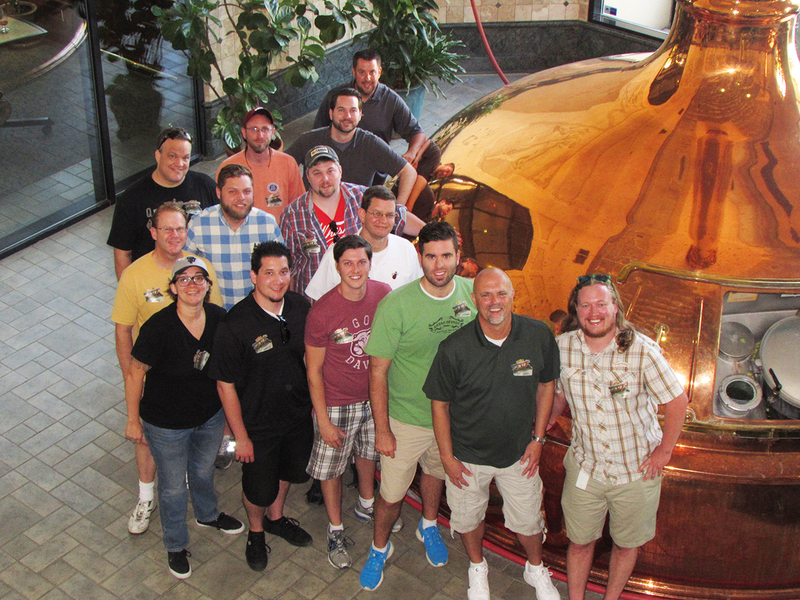 This past fall, twelve Total Wine & More store team members from eleven states traveled to Sierra Nevada Brewing Co. in Chico, California for a special Sierra Nevada Beer Camp. Beer Camp is an intense two-day immersion in craft beer and brewing, during which attendees select a style of beer to brew and the beer’s ingredients, and work with brewing experts in Sierra Nevada’s state-of-the-art pilot brewhouse to brew the beer. Working as a team, our group zeroed in on brewing a beer that would be unique, flavorful, intriguing, appealing, sellable, and memorable. Pale Stout, a.k.a. White Stout, is a nearly extinct beer style rooted in 18th and 19th century English history. Our Beer Camp version includes some modern craft brewing twists. Named Fade to White, this pale stout is golden in color with a creamy texture, displaying a rich aroma of baker’s cocoa and roast coffee, akin to a chocolate-covered espresso bean. Fade to White measures 7.1% ABV and 43 IBUs. 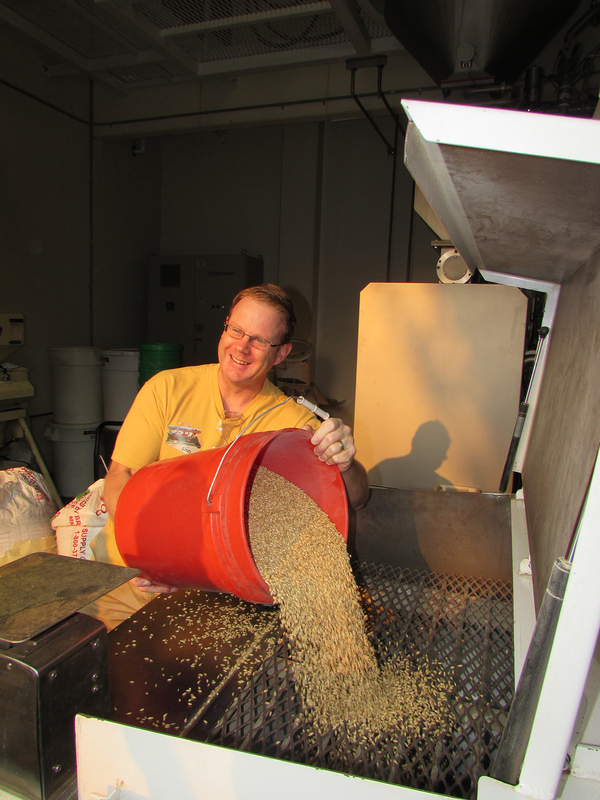 The grain bill comprises Two-Row pale, smoked malt, acidulated malt, wheat and oats. Aurora hops provide bittering, with Aurora, Celia, and Australian Cascade hops for finishing. Additional ingredients include star anise, coffee and cocoa powder. Fermentation was with ale yeast. Fade to White Pale Stout is draught only and will be available for sale in growlers beginning 5:00 P.M. local time on Friday, January 30 in all of Total Wine’s 36 stores with growler stations. Check www.totalwine.com/whatsontap for store locations and growler tap listings. An Exclusive Bordeaux Event: Tickets Going Fast! Experience the unveiling of 2012 Bordeaux vintage in the U.S. Taste more than 100 top Bordeaux wines from more than 80 producers, poured by chateau owners, winemakers and wine experts. Experience the unveiling of the 2012 Bordeaux vintage in the U.S., at the Fontainebleau Miami Beach Liv NightClub. January 22, 2015 from 7:30 to 10:00 p.m.